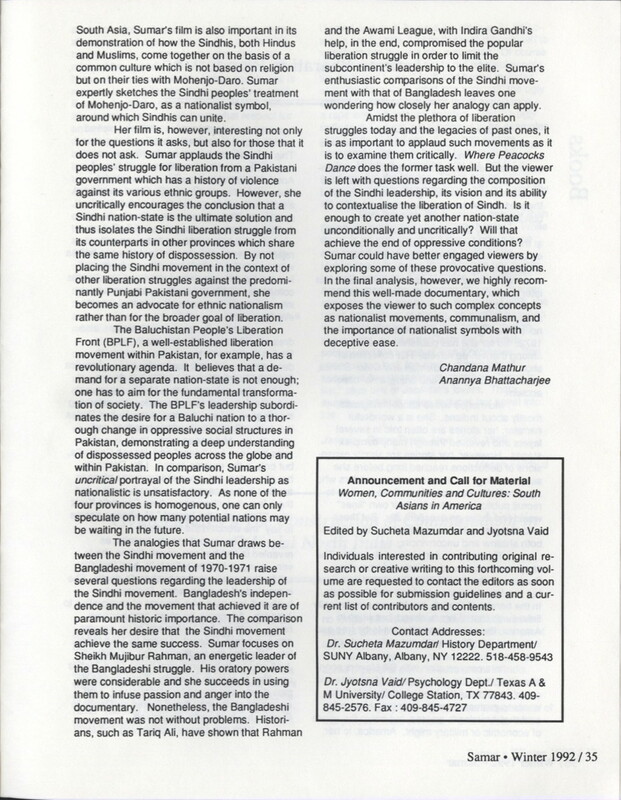 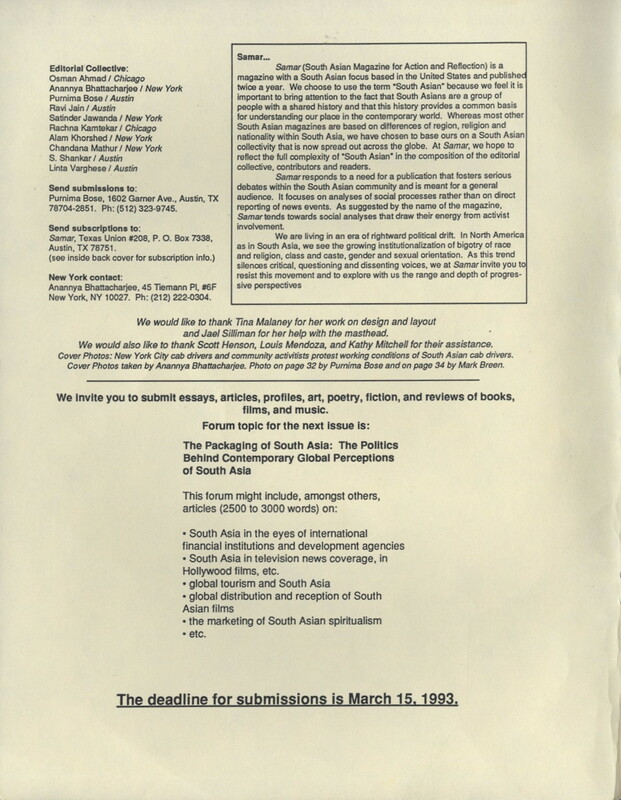 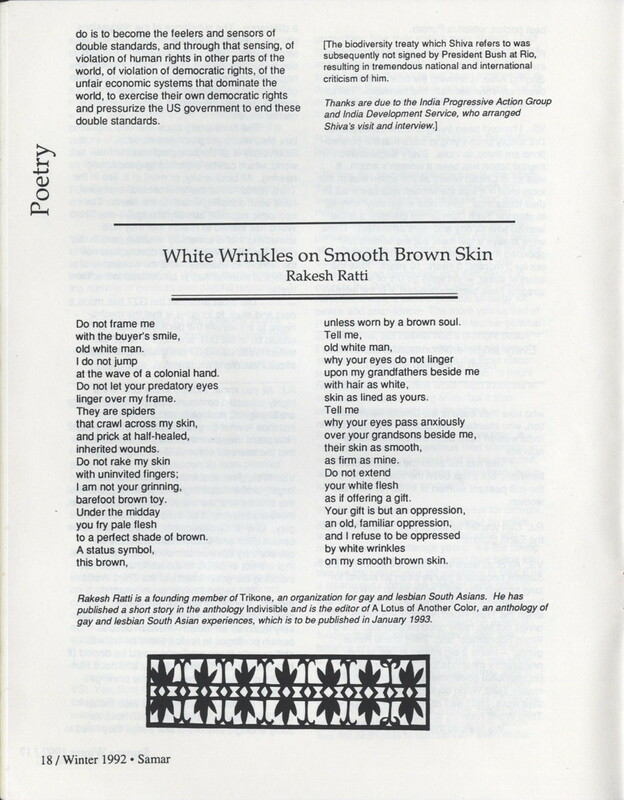 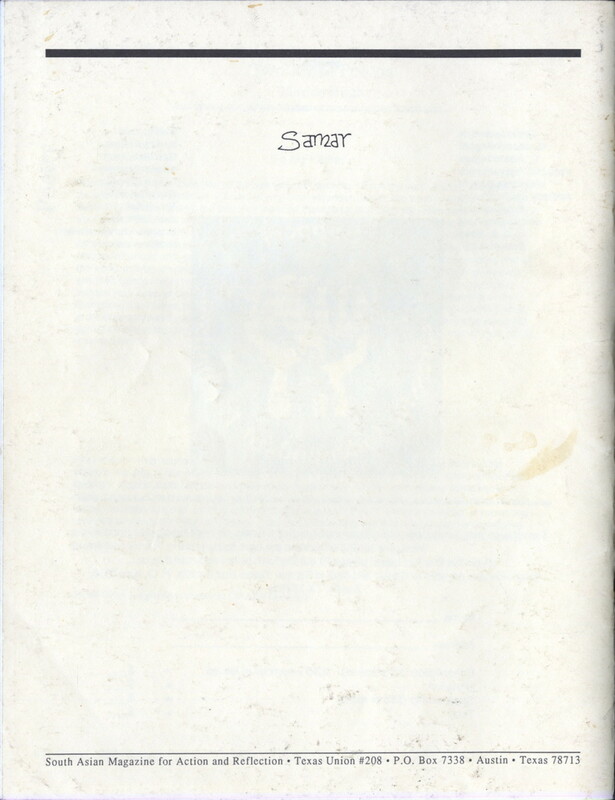 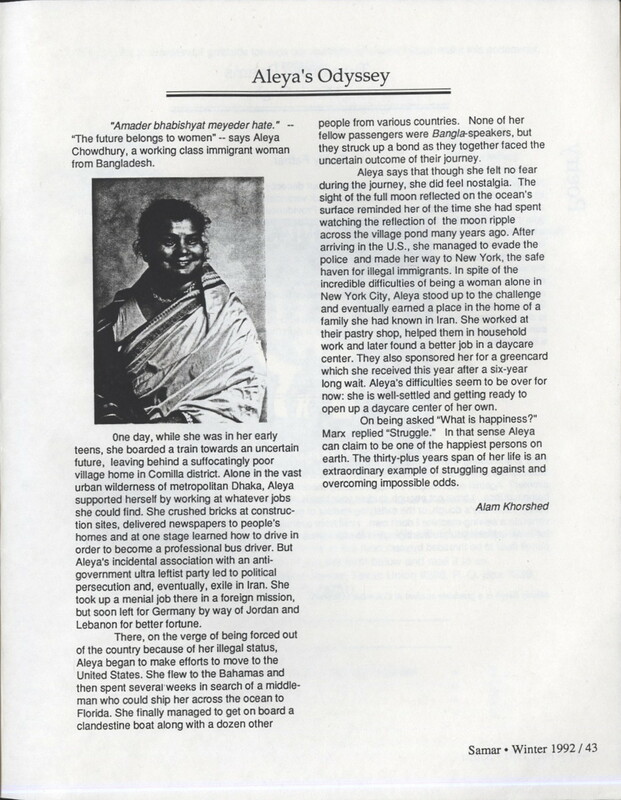 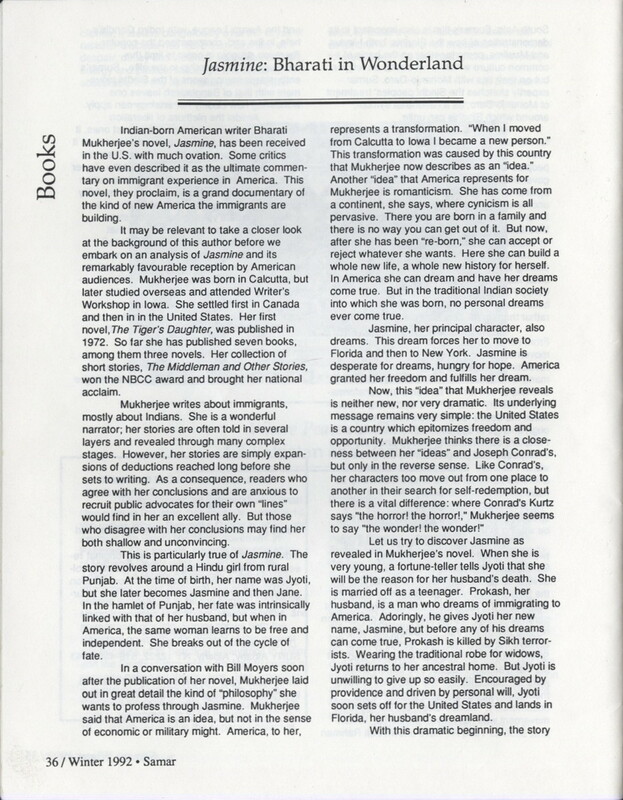 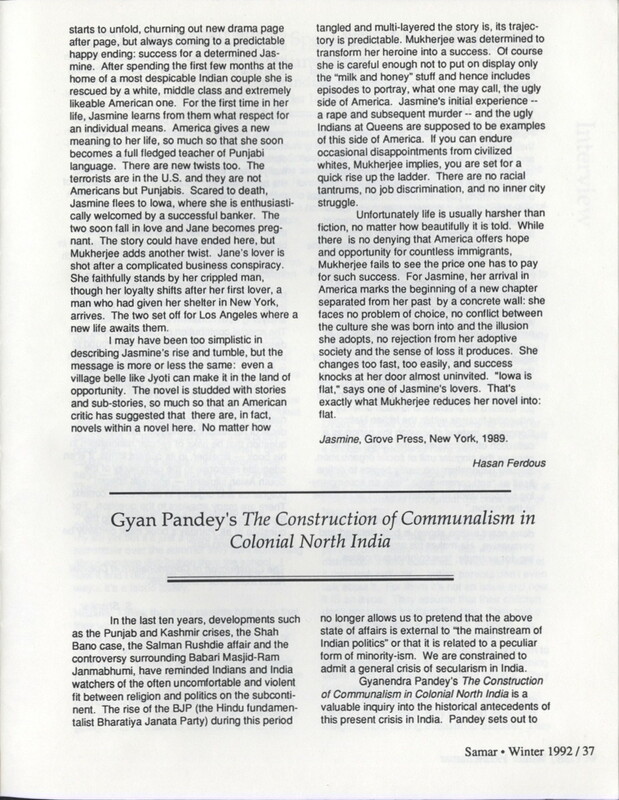 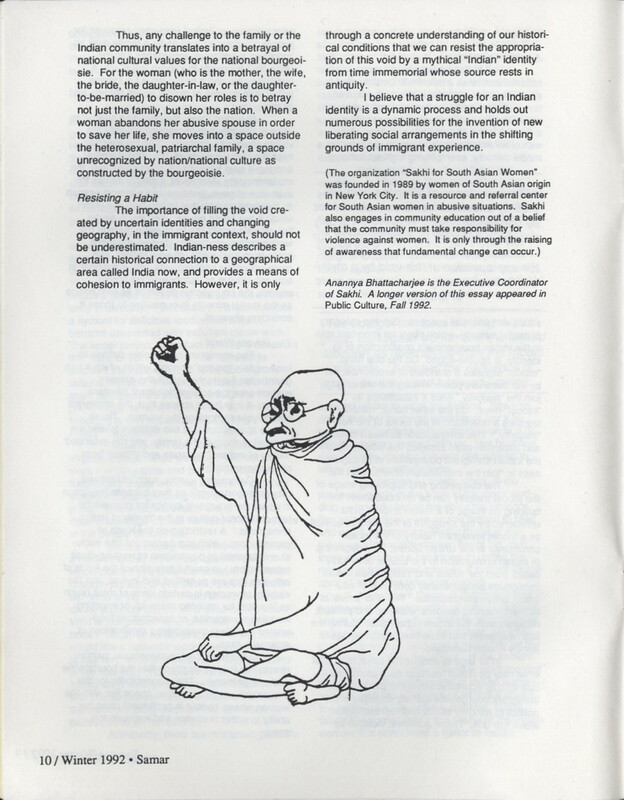 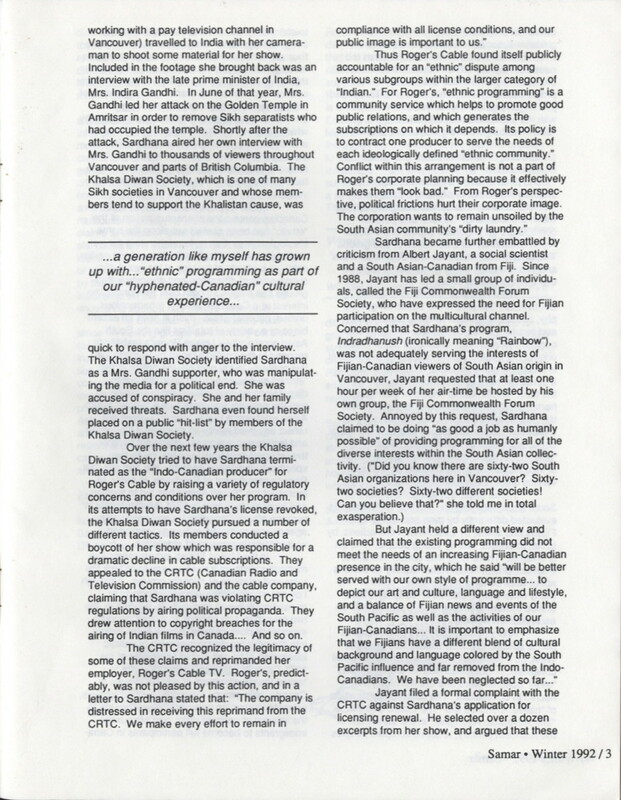 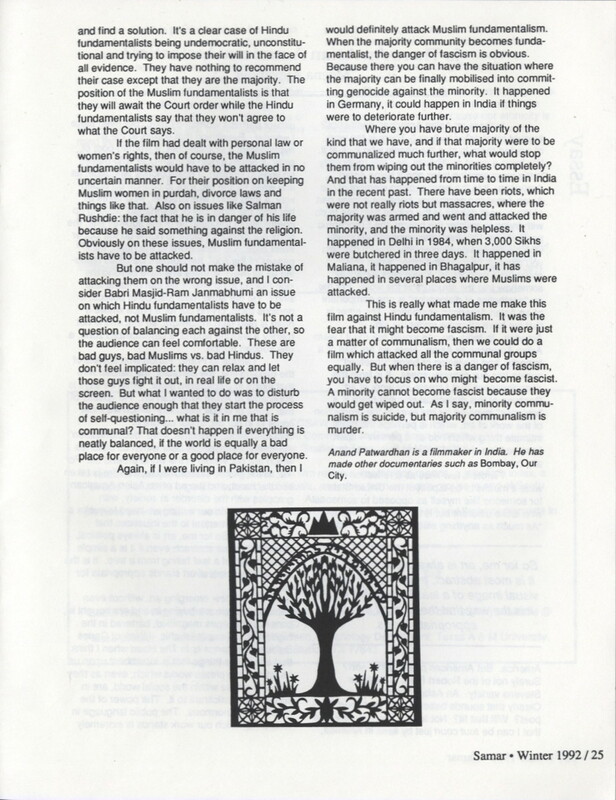 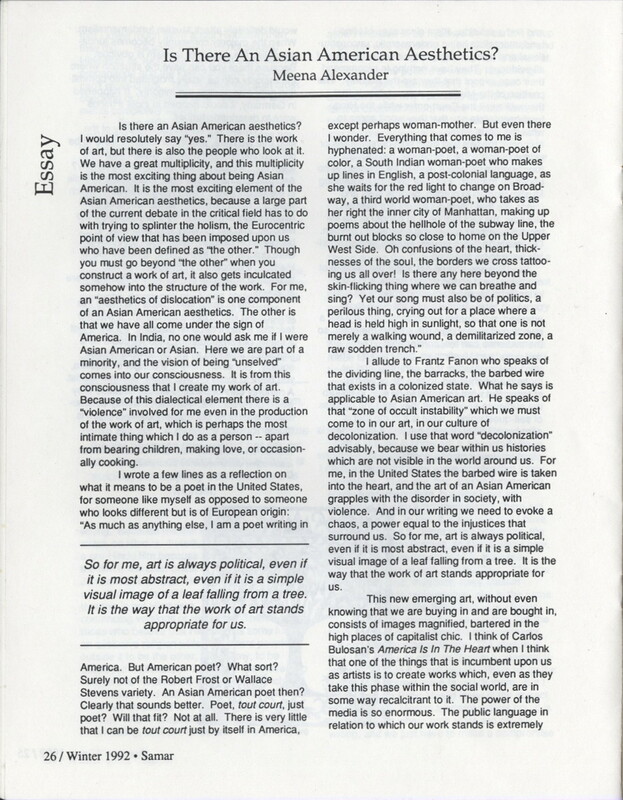 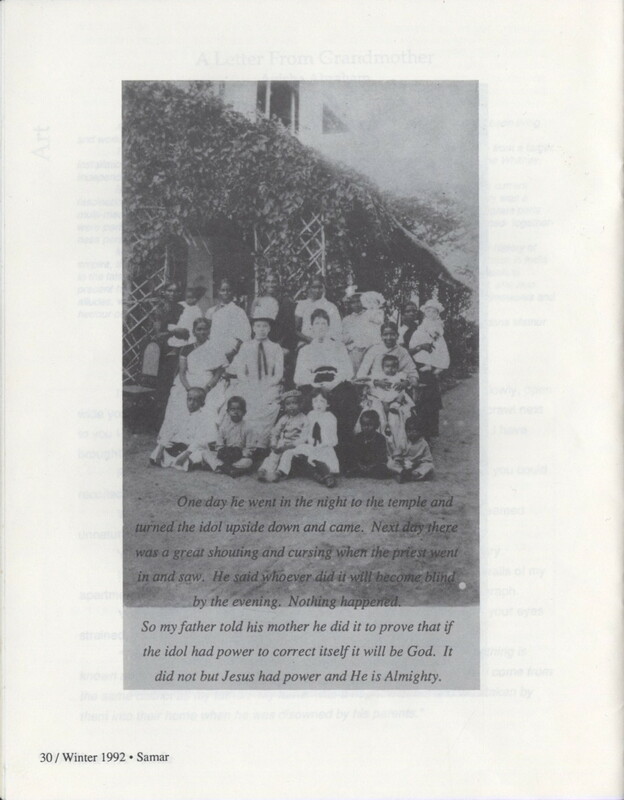 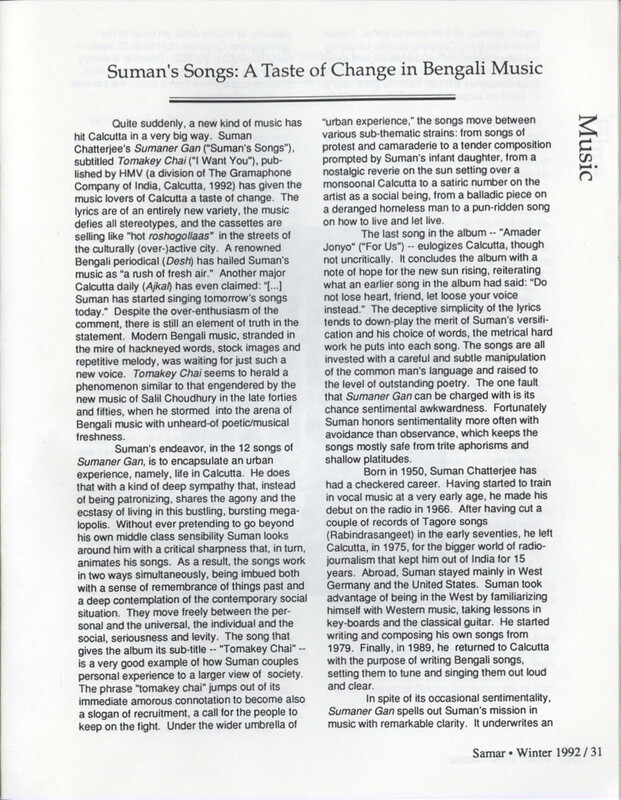 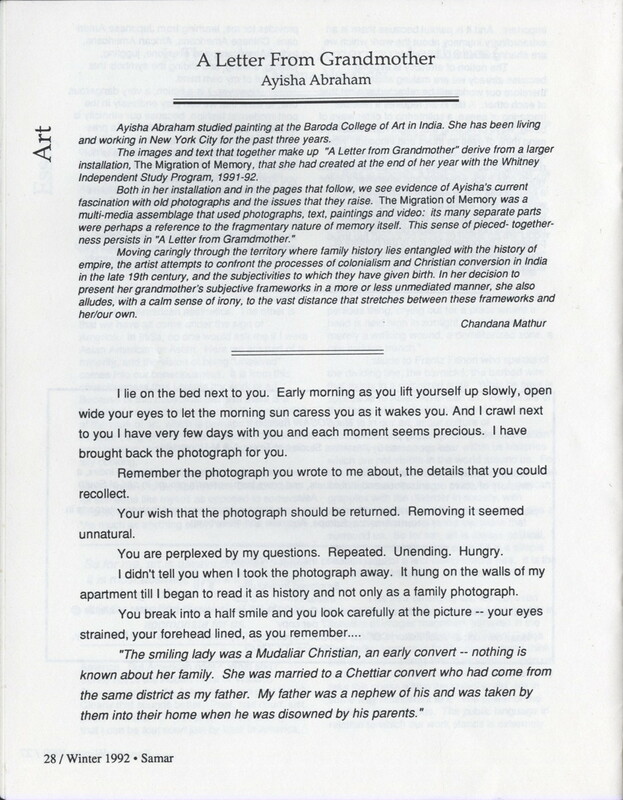 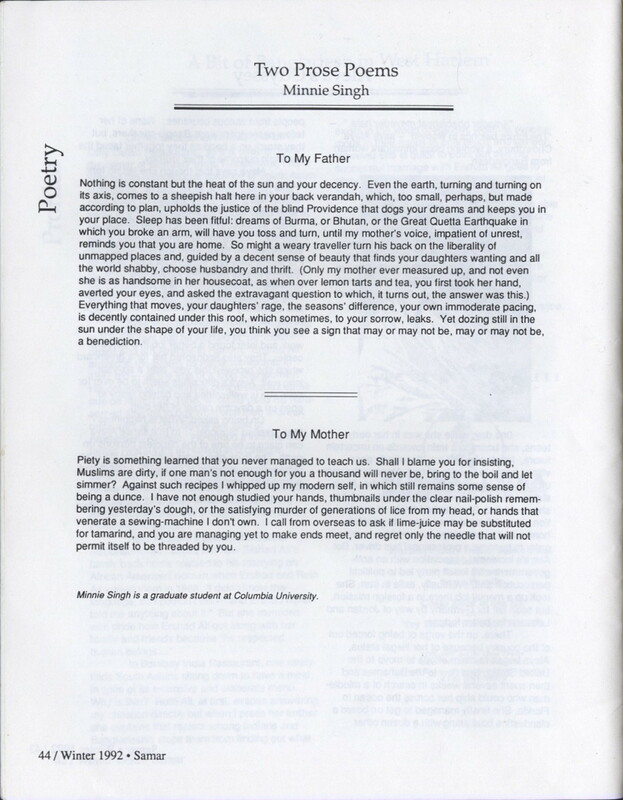 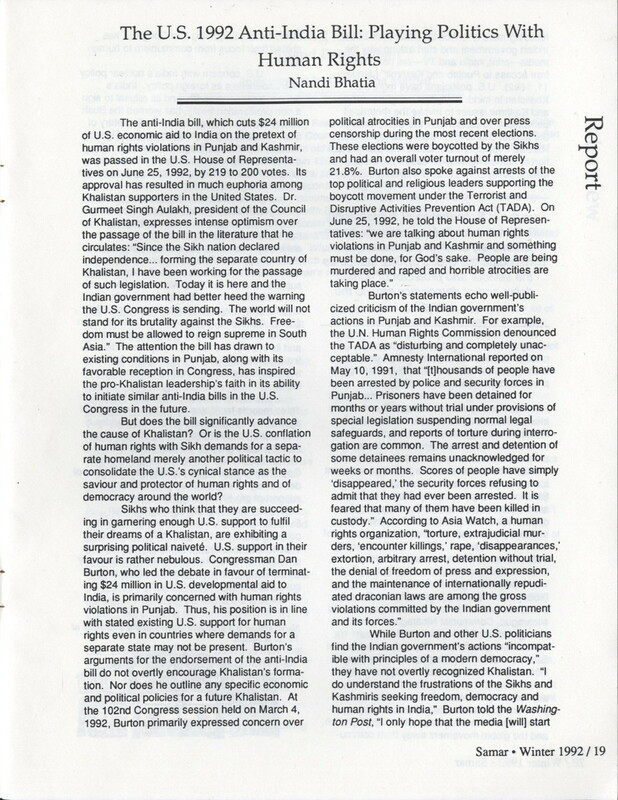 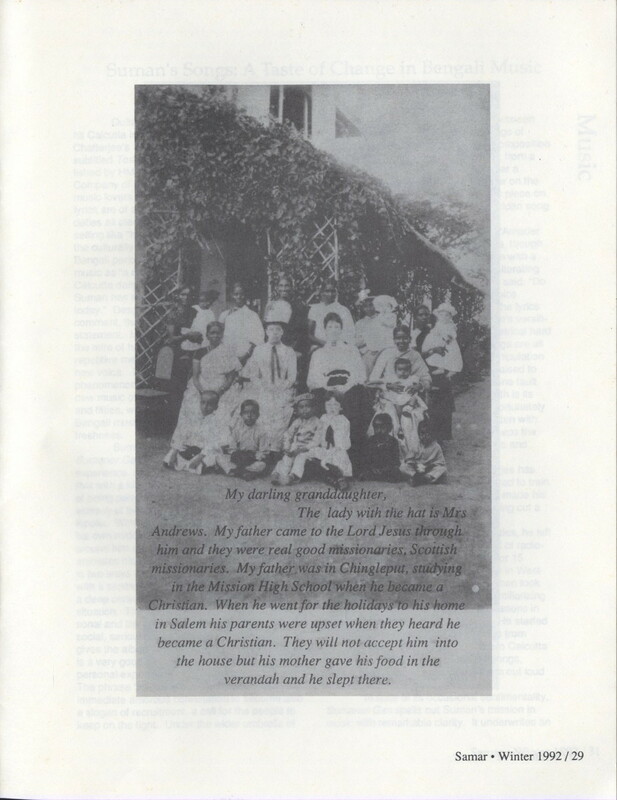 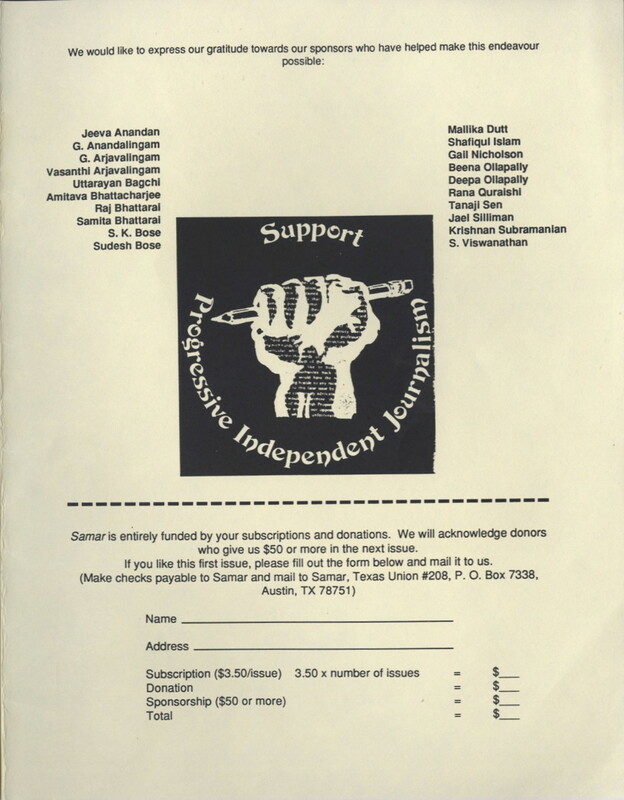 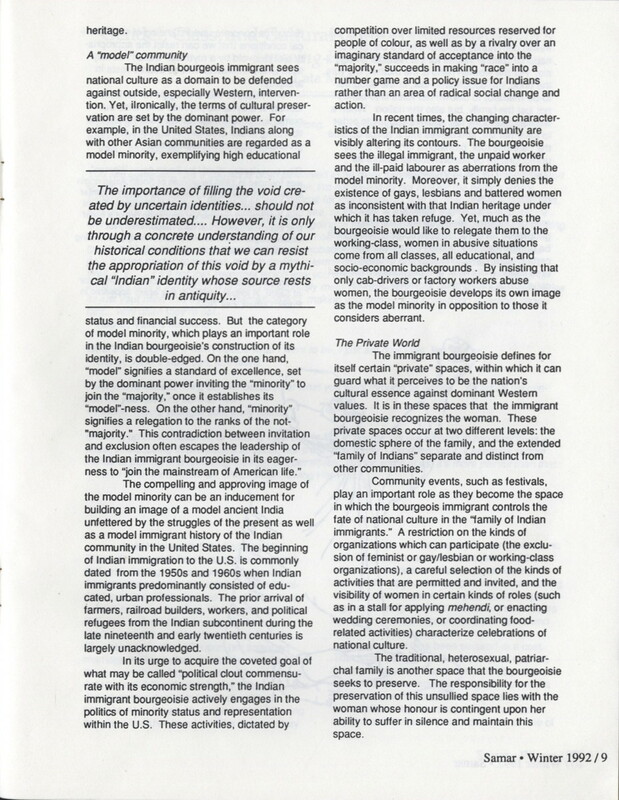 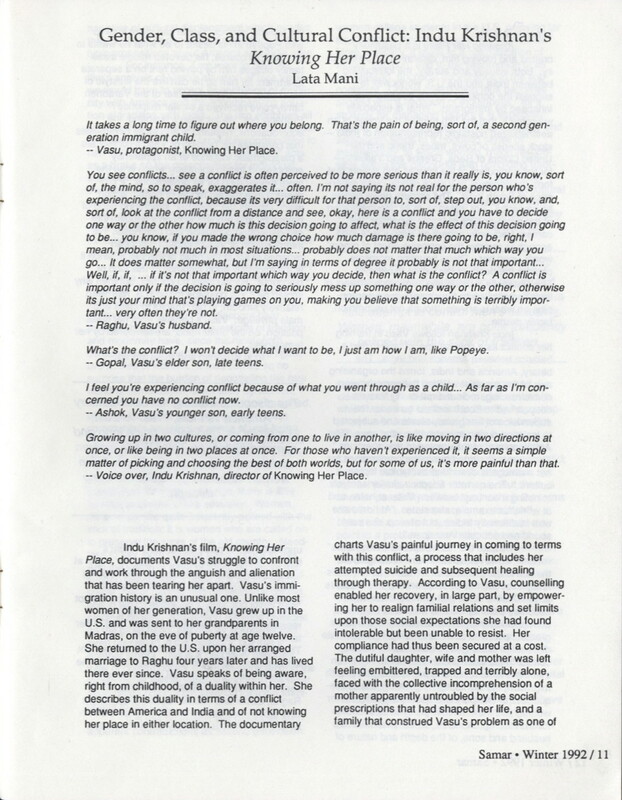 The inaugural issue of SAMAR, "South Asian Magazine for Action and Reflection," was published in Winter 1992. 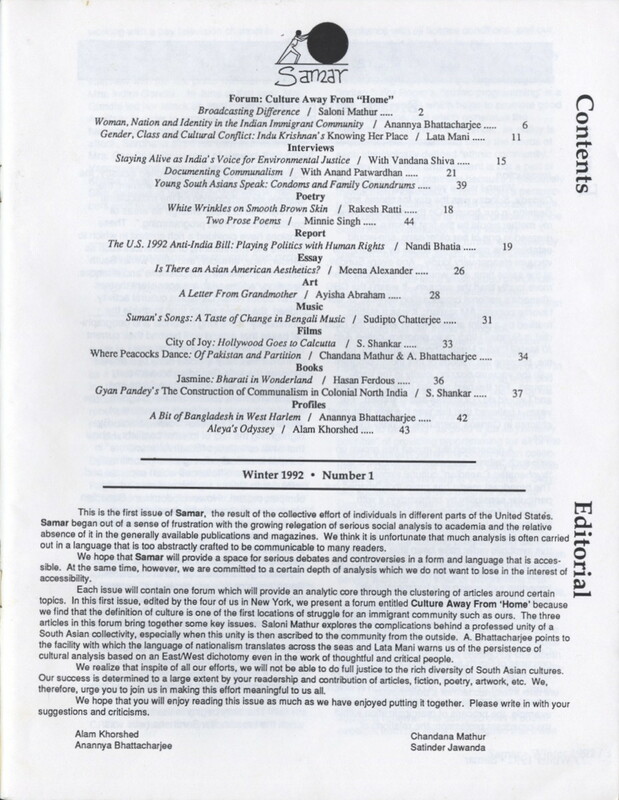 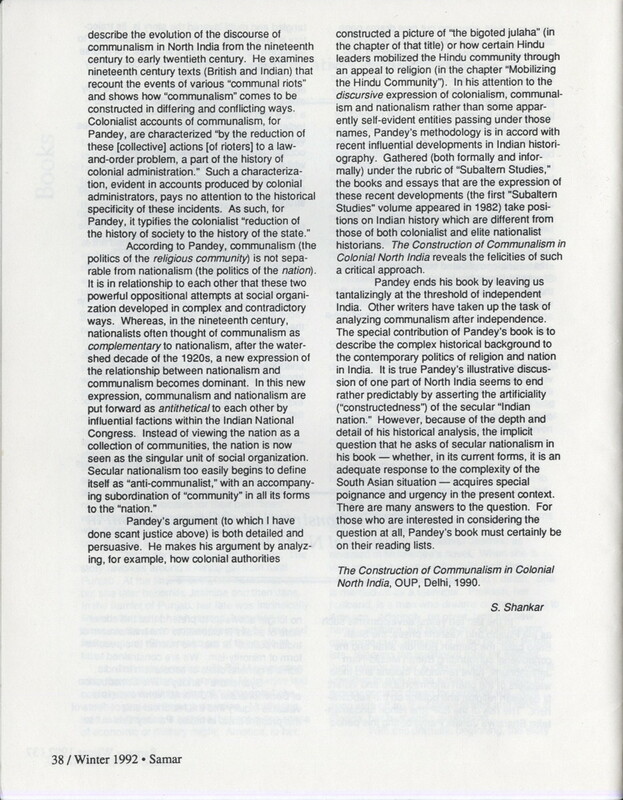 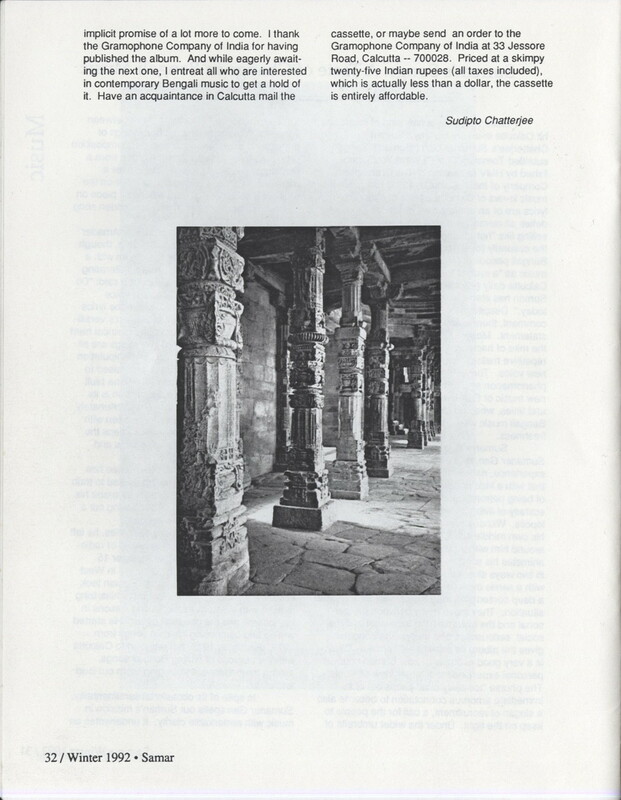 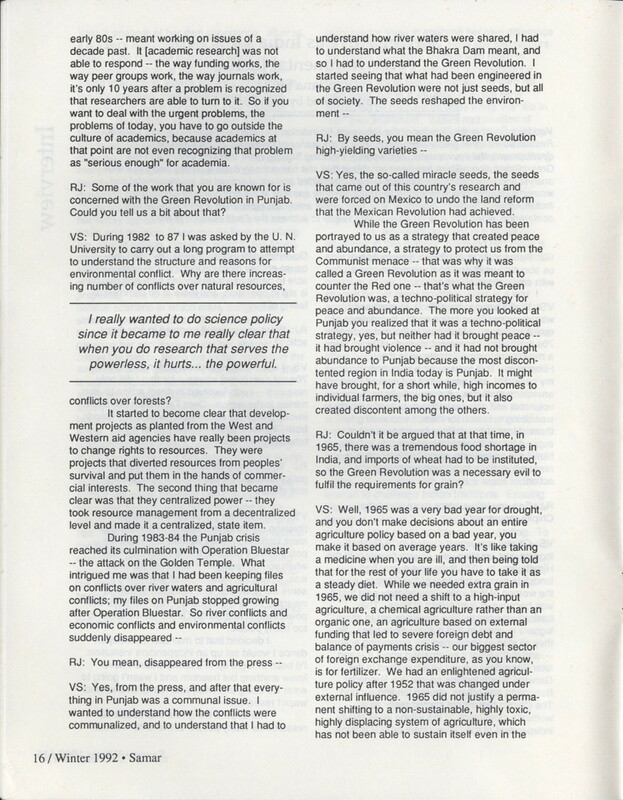 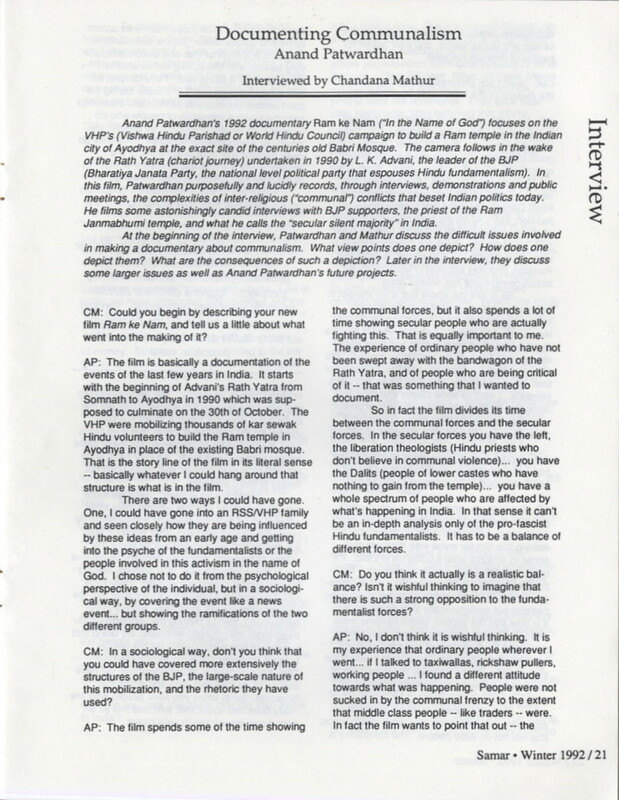 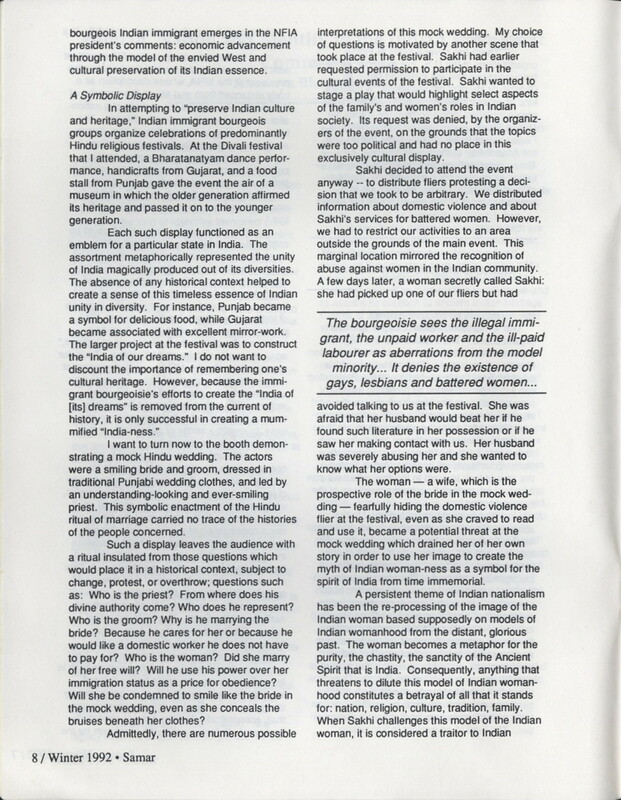 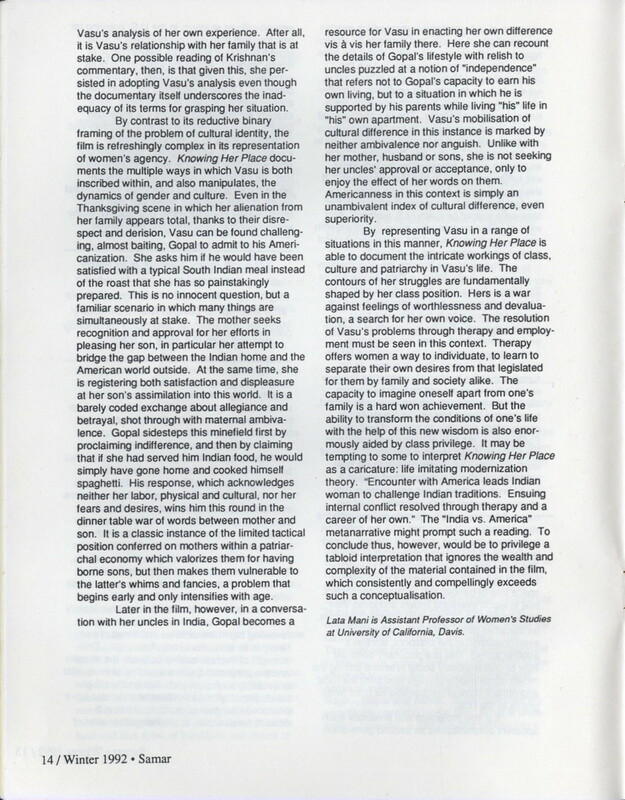 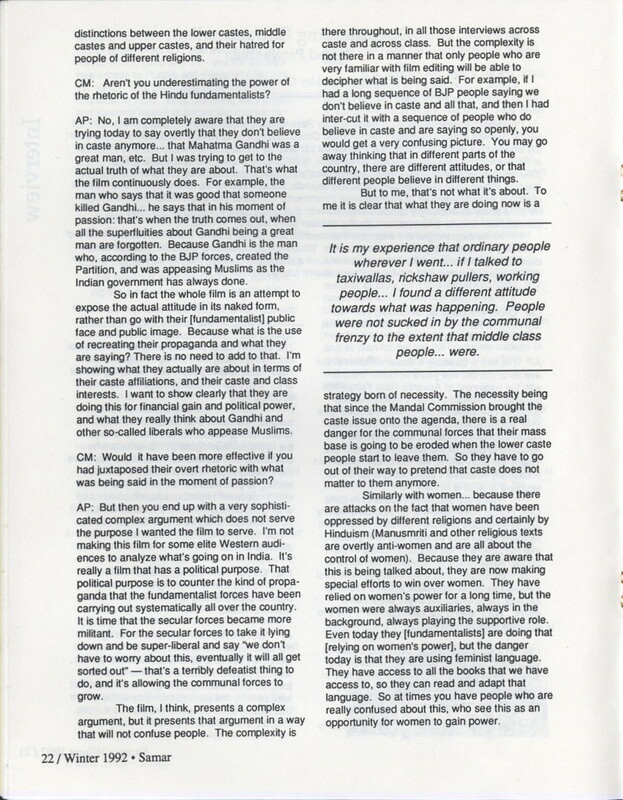 The issue featured contributions from Saloni Mathur, Anannya Bhattacharjee, Lata Mani, Vandana Shiva (interviewed by Ravi Jain), Rakesh Ratti, Nandi Bhatia, Anand Patwardhan (interviewed by Chandana Mathur), Meena Alexander, Sudipto Chatterjee, S. Shankar, Ayisha Abraham, Hasan Ferdous, Satinder Jawanda, Alam Khorshed, and Minnie Singh. 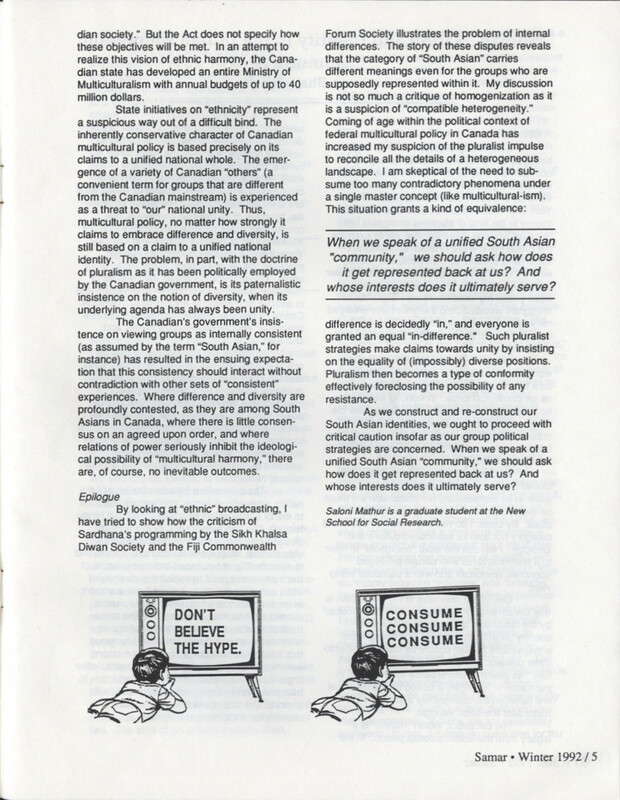 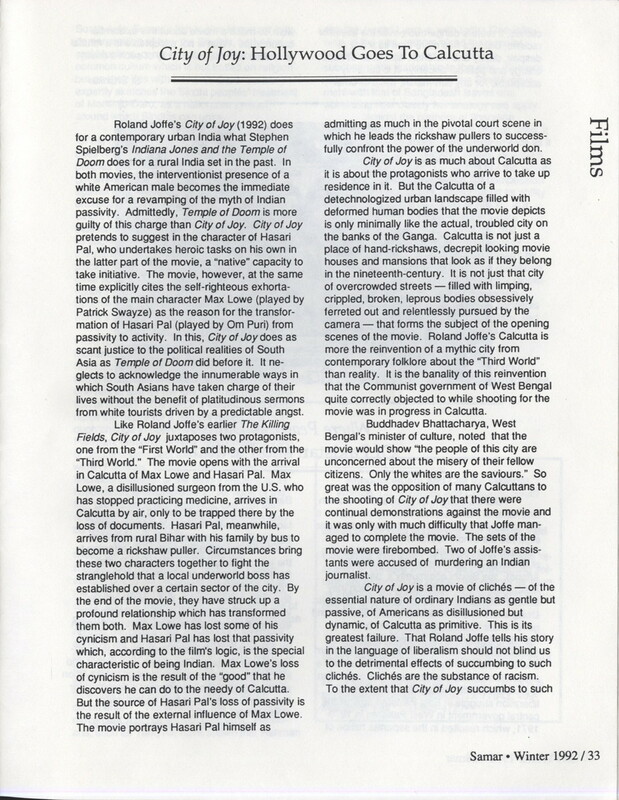 An editorial note explains the conception of SAMAR as a "magazine with a South Asian focus based in the United States,"and with a "hope to reflect the full complexity of 'South Asian.'"